Used in order to remove iron and manganese from water when other methods fail, especially in case of presence of organic iron and manganese. Brown-black granulate with visible single grey and white grains. 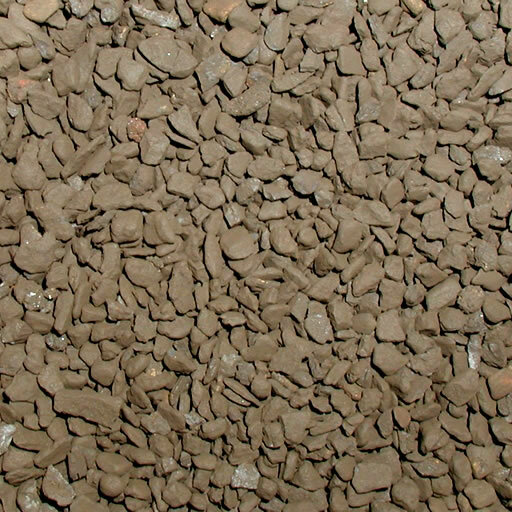 A natural, pollution free aggregate, comes from MOANDA deposits - GABON. other sizes, according to the customer's needs, are also possible. Suggested method does not require any additional devices. It can also be applied in one level filtration. The above method depends on the use of the active mass layer of the content adjusted to the quality of water instead of part of sandy layer in the filter. The amount of the active mass should reach 30-80% of the filling of the filter depending on the content of Mn and its form in the water. The remaining part of the filling consists of filtration sand of the proper granulation, possibly it can also consist of alkaline mass L-1. Hygienic opinion No W/335/91 PZH in Warsaw of 13th August 1991 was positive as regards the healthiness of the use of the active mass in the process of removing iron and manganese from water - hygienic certificate No HK/W/0300/01/2005 of 2005 r.
Our plants work effectively in hundreds of urban, rural and industrial water drills. Water analysis from the above mentioned plants, in which active mass G-1was used as a filling, confirm the possibility of removing manganese down to the amount of < 0,05 mg Mn/dm3 and iron down to the amount of < 0,2 mg Fe/dm3. What is more, the analysis also confirmed the reduction of the amount of cadmium, copper, nickel, ammonia.